There is a lot of risk involved when you consider trying to move a safe by yourself. Not only could you damage the safe and internal mechanisms, you could do serious damage to property. Then you have the health risks involved with trying to move something as heavy and unforgiving as a safe. If you are looking to move a safe to a residential or commercial location, a professional safe mover is your best option. Moving a safe means having all of the necessary equipment to get the job done. You won’t find many rental or moving companies that have the specialized equipment needed to actually move a safe properly. A professional safe mover, like the ones at Zealous Mover, can safely relocate your safe from one location to another. Most people think that since a safe is so big and heavy, that they can literally drop it or bang it around and it still be fine. The fact of the matter is, if you’re not careful, you could damage the safe and prevent it ever working properly. 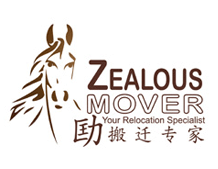 When you hire Zealous Mover to move your safe, you can rest assured that you are working with the very best. We know how difficult it is to move a safe. That is why we take our time devising our plan for moving your safe. A lot of people think that once the safe is on the truck, that they can breathe easy, but we know better. If you do not secure a safe properly inside the truck, you risk ruining the safe before it ever makes it to its new location. When you want a quality moving company that can handle all of your moving needs, you want a company you can trust. You want a company that will provide you with a schedule and stick to it. You want a company that has the knowledge and expertise to not only make your move fast and easy, but also safe. You want Zealous Mover. At Zealous Mover, we believe that we are only as good as our last move, which means we will do everything we can to provide you with the best service, and services, we possibly can. We know how important your belongings are, and will do everything can do to protect them as if they were our own. If you’re looking for a professional safe mover who is going to be your best interests at heart, then you want to contact Zealous Mover today. We’ll happily provide you with a non-obligatory quote and answer any safe moving questions or concerns you might have.